If you say "I don't know beans" about beans, you ought to. Beans are one of civilization's earliest cultivated crops, dating back to the early seventh millennium BCE. Today there are more than 40,000 varieties of beans worldwide. 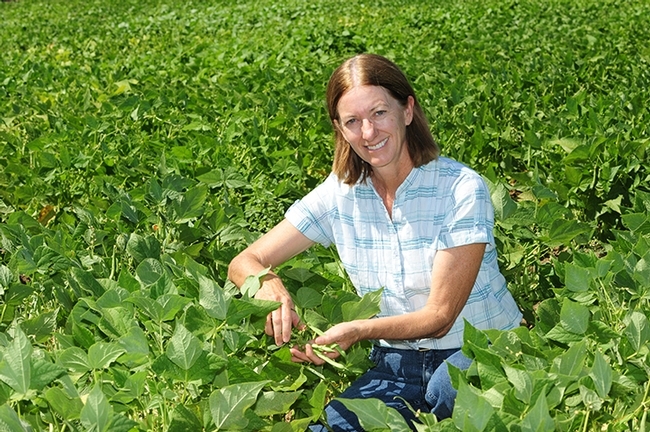 "Not only are beans a healthy food choice, but they are also a healthy choice for our world," said UC Cooperative Extension advisor and dry bean expert Rachael Freeman Long. "Beans fix most of their own nitrogen so require fewer inputs for production compared to other sources of protein and they're cheap! Plus some, like garbanzos, are grown during the wintertime, so they're less dependent on irrigation." The different varieties of beans include garbanzos (chickpeas) as well as black eyes, limas, and common beans like pintos and kidneys. You probably won't find a bigger fan of beans than Rachael Long. "I eat them at least once a week or more," she said. 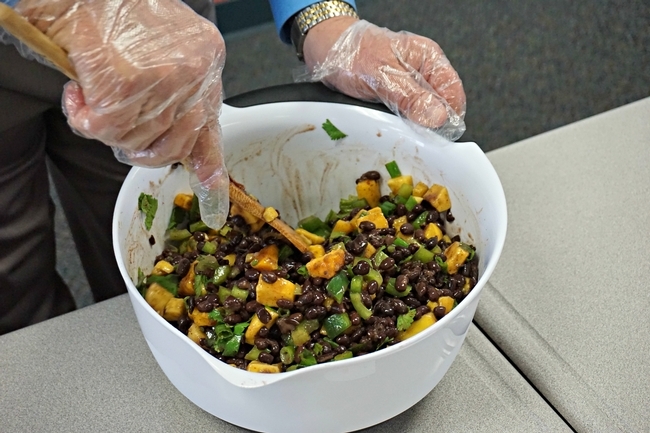 "I love going on our Cal Beans website and getting new recipes. Summer time, I love beans on my salad, especially garbanzos. At this time of year, I love soups with beans. My favorite is the kale white bean sausage soup. If I want to go vegetarian, I'll leave out the sausage or sometimes fry up some tofu sausage for flavor. And, it just so happens that this is the soup in the current bean blog. I got the original recipe from one of our nutrition staff at our office." Long says that Cal Beans is an important site for bean growers and industry folks, too. "It's supported by the California Dry Bean Advisory Board, an important funding source for my work. Right now, I have a grant to look at seed moisture and quality at harvest (possibly drying down seed too much at harvest results in internal injury to planting beans (seed stock)." What do you know about beans? Do you know that California grows the canning quality beans? "We have the perfect weather conditions for those large, creamy beige-colored beans," Long said. "Other states like Washington grow about 100,000 acres of garbanzos for humus (but a lower quality bean and we can't compete with their free water via rainfall." California farmers supply virtually all of our country's dry lima beans, Long notes. In 2012, California farmers grew about 23,000 acres of baby and large limas, valued at $30 million that year, according to the National Agricultural Statistics Service. Long has authored two UC ANR manuals about beans (Lima Bean Production in California and Common Dry Bean Production Manual) and is just finishing the garbanzo production manual (it's in peer review). "Lima beans are a major dry bean crop for California, representing a significant portion of the total dry bean acreage in 2013," she wrote in the Lima Bean Production in California. "Lima beans are primarily grown for the dried edible white bean in California, although a limited but stable acreage is also for seed production. As with all dry beans, limas are a nutritional and healthy food choice, being an excellent source of protein, fiber, vitamins, and minerals. 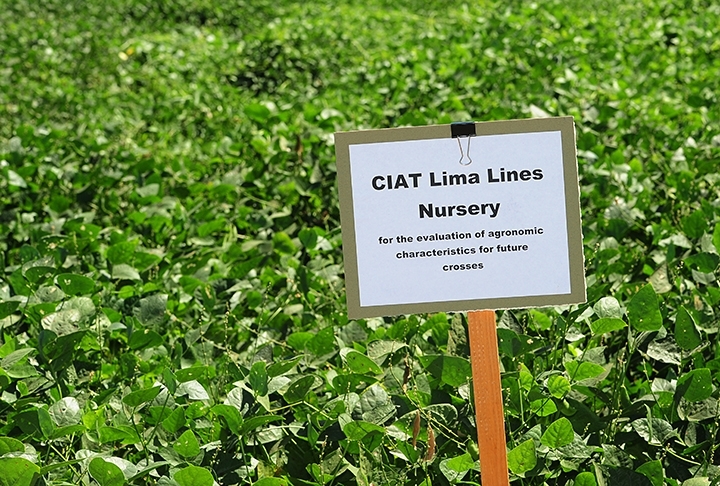 Lima beans are also an important rotation crop for farmers because the plants fix nitrogen, add biomass to the soil, and require relatively few pesticides." Lima beans belong to the species Phaseolus lunatus, distinct from the common bean, P. vulgaris. 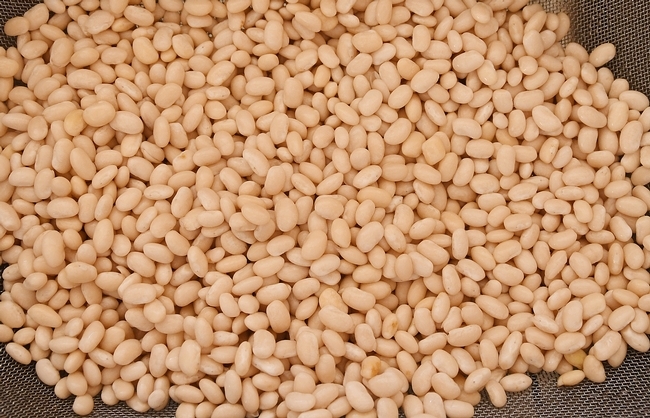 "Common dry beans include the market classes kidney, cranberry, pink, black, white, yellow, pinto, and red, all of which are different types of a single species (Phaseolus vulgaris) that was originally domesticated several thousand years ago in the areas that are now Mexico and South America," Long wrote in the Common Dry Bean Production Manual. "Natural selection and breeding programs lead eventually to the current market classes, which are mainly distinguished by seed size, color, and shape, and plant growth habit. Currently, there are no commercially available genetically modified varieties of P. vulgaris." "Dry beans," Long points out, "are grown in California mainly for human consumption, though a limited but stable acreage is dedicated to seed production. Dry beans are nutritious: they are high in starch, protein, and dietary fiber, they have no cholesterol, and they are an excellent source of iron, potassium, selenium, molybdenum, thiamine, vitamin B6, and folic acid. The U.S. Department of Agriculture considers dry beans to be both a vegetable and a protein source." 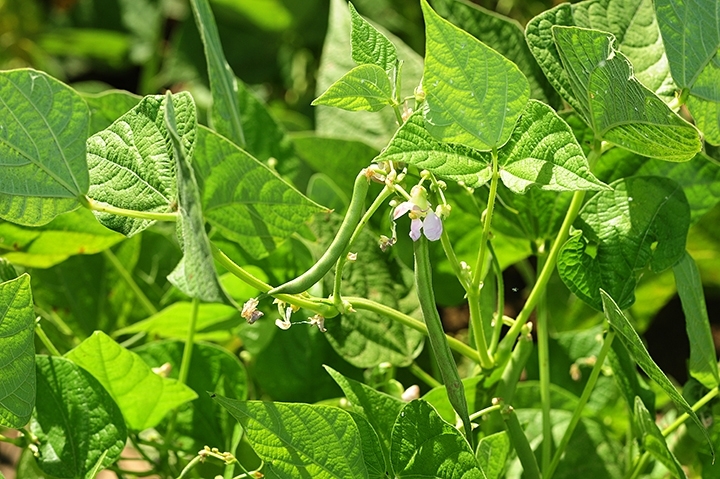 Rosane Oliveira, director of the UC Davis Integrative Medicine Program and an adjunct assistant professor in the UC Davis School of Medicine's Department of Health Sciences, recently praised beans as one of the "Fab 4" plant foods in her "21-Day Food Challenge" blog. Indeed, there's even a National Bean Day, observed annually on Jan. 6. Want to know more about beans? You'll find a wealth of information about dry beans from the U.S. Dry Bean Council. Bottom line: Beans should be an important part of your diet. You can call them "nutritious," you can call them "delicious," or you can call them "brilliant." They're all three. Mix together all ingredients in a large bowl. Salad may be served right away, but is best if covered and chilled for a least 1 hour for flavors to blend.